The name "NAINA" which means eye is derived from a temple to the goddess 'Naini Devi" built on the upper edge of the lake and was destoyed by the landslip of 1880. It was subsequently replaced by the present structure. 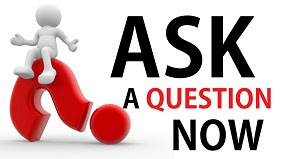 The word "Naini" means 'Eyes' and 'Tal' means 'Lake'. The perimeter of the Naini Tal lake is of nearly 2 miles. The word Naina is synonymous with Sati's eyes. Since then, devotees started visiting this temple. Once the devotee reaches the hill top, prasad can be bought from any of the various shops or it can also one's own offerings from home. After crossing the main gate, there is a big Peepal tree on the left side. On the right side of the temple there are idols of Lord Hanuman Ji and Ganesh Ji. After reaching the main entrance of the temple, there are two statues of lions. 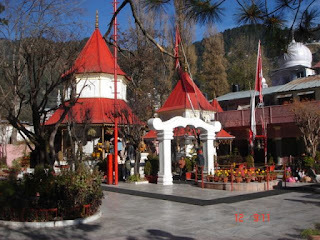 Though the temple is named after Naina Devi (another name for Sati), the biggest social occasion here is the festival held in honour of Nanda Devi. 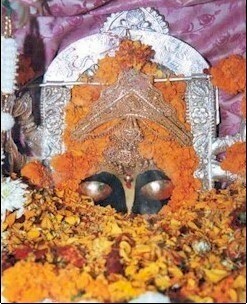 The patron goddess of Kumaon hills and a local princess Sunanda Devi. 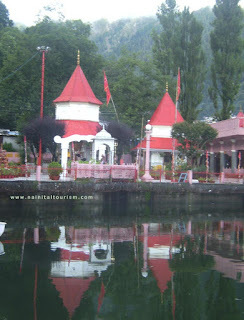 On the northern side of the lake is built a temple dedicated to Sati and is called the Naina Devi temple.